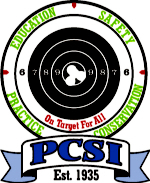 Click here to view the 2012 PCSI MultiGun Registration Rules. For the October 6, 2013 match, preregistration will open on Friday September 27 at 6:00 pm. Match Name is: "PCSI October 2013 Multigun Match"